What Does Revelation 22:17 Mean? 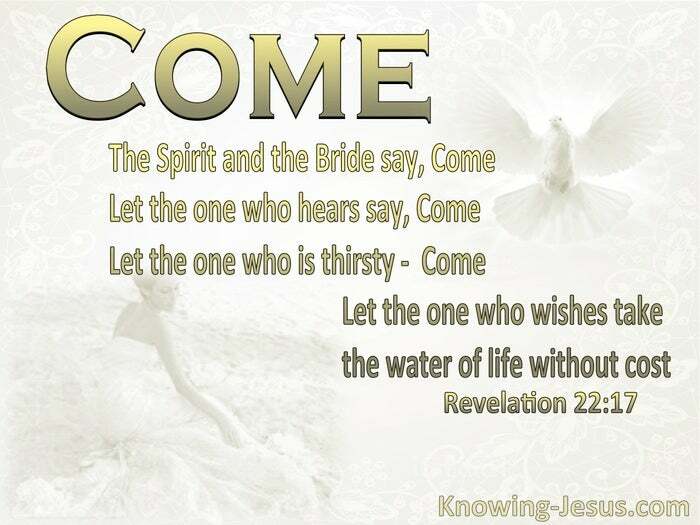 The Spirit and the bride say, "Come " And let the one who hears say, "Come " And let the one who is thirsty come; let the one who wishes take the water of life without cost. The book of Revelation is divided into distinct sections. The first few chapters are addressed to the church and explain where we are in history, and what is God's expectation of those that are saved, by grace through faith in Christ. The larger, middle portion, explains in detail, what is to come in the future.. and is focused on the seven-year tribulation period, which is often referred to as 'The Time of Jacob's Trouble', in the Old Testament. 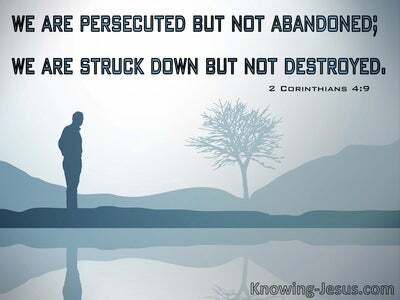 It is a time when God's wrath will be poured out on a God-hating Christ-rejecting sinful world, with the purpose of returning Israel to faith in God, and Jesus Christ their Messiah and King. The last chapter is concerned with the distant future, when there will be a new heaven and a new earth - and sin will be no more. 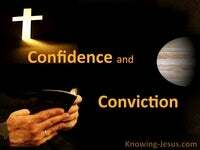 This final chapter talks of the certainty of Christ's soon return. 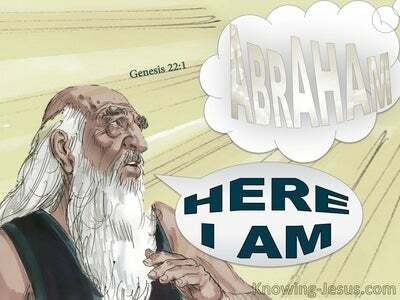 John proclaims the importance of the revelation within this book - and makes proclamations about coming judgement, future rewards, forthcoming blessings and serious warnings, for those that do not believe in the only begotten Son of God. And here in verse 17, we have a most beautiful invitation, to all people, from the Holy Spirit of God and the Church - which is the Bride of Christ. We read that the Spirit and the Bride invite everyone to 'Come'. 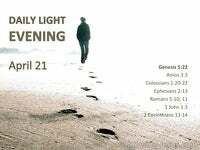 COME, they encourage those that are overwhelmed with fatigue and thirst. 'Come' is the call to those that are dead in their sins. Come, and drink of the water of life. Come they call! Drink, and to do so freely Come and drink without cost and without any reluctance or hesitation. Their invitational is to, Come, and receive living water, which is life eternal. All who believe in Christ and drink of the living water He offers, receive forgiveness of sin and life everlasting, for He is the Fountain and Source of all life. 'Come,' is the exhortation to those that are thirsty. Come and drink freely - Come! Drink and live. This is a pleading call to everyone who wishes to partake of the water of life. 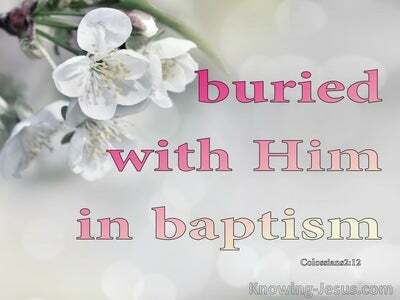 All who come may drink freely from its healing flood, without any charge. We also read that the one who responds to this call, repeats the beautiful invitation for others to 'Come ' They too call out to other thirsty souls to come. ALL are encouraged to drink freely of the Living Water, without cost and without fear. This invitation is open to every person in each generation, no matter what their gender, race, colour or station in life. All are welcome to participate in the free gift of salvation, which is given freely, by faith in Christ's finished work on Calvary. When one looks at this verse carefully one can see two different appeals. One is an entreaty to those that are dead in their sins and facing a lost eternity.. to come and drink of the water of life, while the other is the call of the Church, for Christ to return, and set up His earthly kingdom, in power and great glory. It is the call of the indwelling Spirit in the bosom of His Bride, to return to this world, and bring in that promised period of peace and prosperity, when Christ will reign as King of kings and Lord of lords - and all who were thirsty have drunk deeply of His living water. 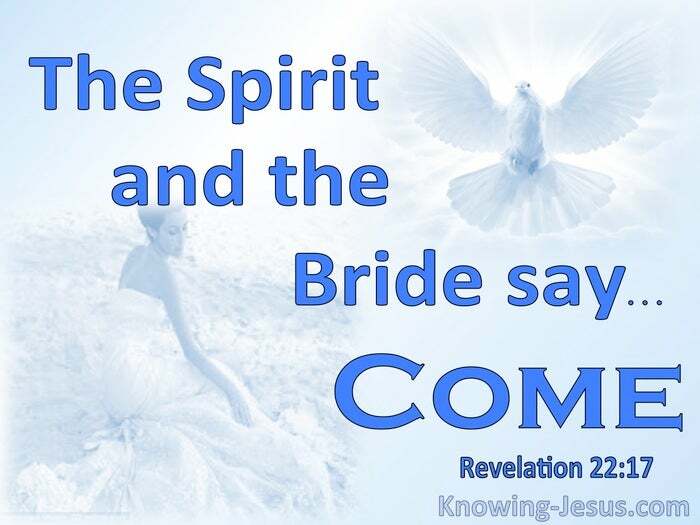 As the bride of Christ, who is awaiting His soon return, let us join our prayer and praise, with the Spirit of God and say, 'Come ' And let the one who hears say, 'Come.' Let the one who is thirsty come, and let the one who wishes to partake of the water of life without cost - COME. Maranatha, come Lord Jesus. 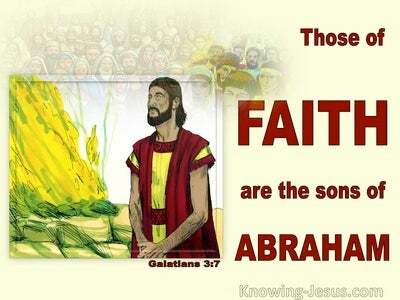 Praise God that, He who testifies to these things says, 'Yes, I am coming quickly ' Amen Come, Lord Jesus. The grace of the Lord Jesus be with all. Amen.